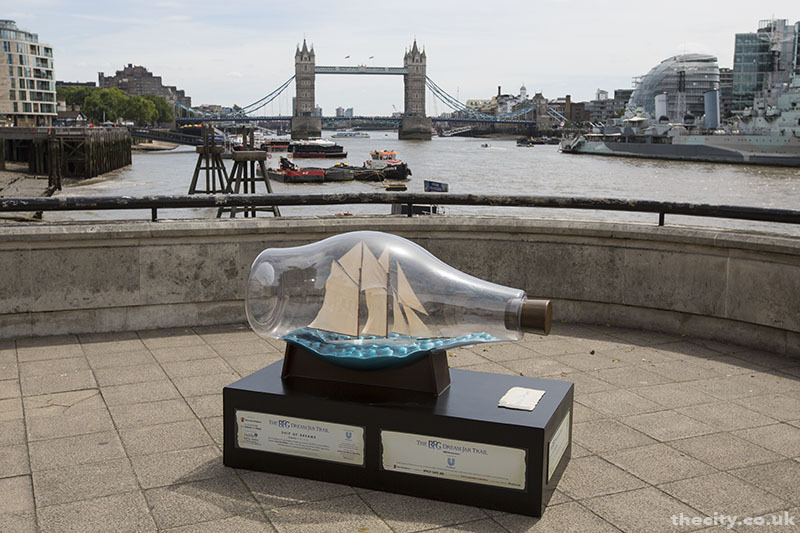 Sir Ben Ainslie’s jar is outside Old Billingsgate and can be seen with Tower Bridge in the background. THE DREAMS of a host of celebrities and well known figures have been captured and can be seen in jars around the City. 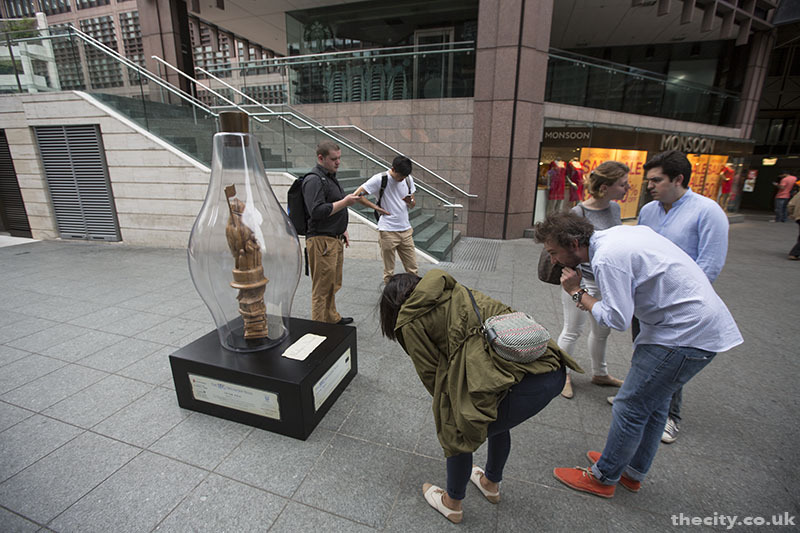 The BFG Dream Jar Trail went live at the weekend and includes seven of the unique creations in the Square Mile as well as many more locations across central London. The initiative is designed to coincide with what would have been the 100th birthday of Roald Dahl and the launch of new The BFG movie, based on his famous book. 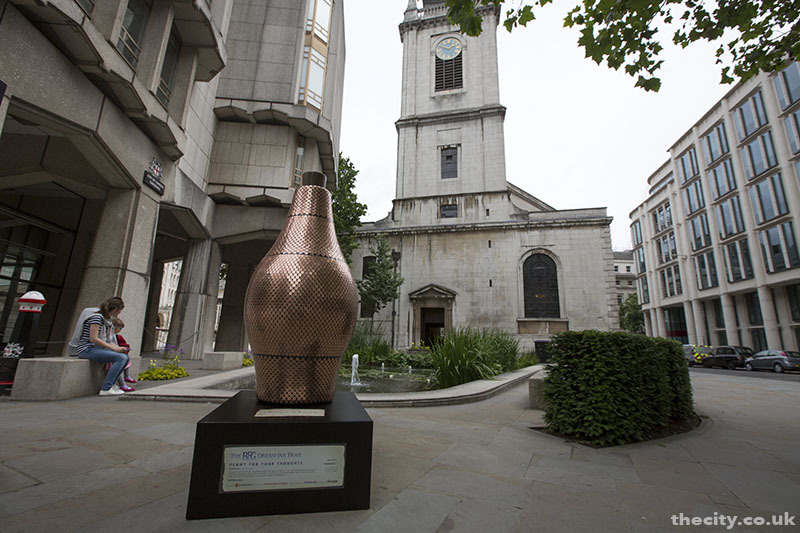 Many celebrities have got involved with the project, with jars in the City by Dominic West, Stephen Hawking, Nadiya Hussein, Sir Ben Aislie, Jane Morgan, Maise Williams and David Weir. The jars will remain on display until the end of August at which point they will be auctioned to raise money for Save The Children. The organisers are encouraging people to take photos of the jars and to post them on social media using the hashtag #BFGDreamJars. 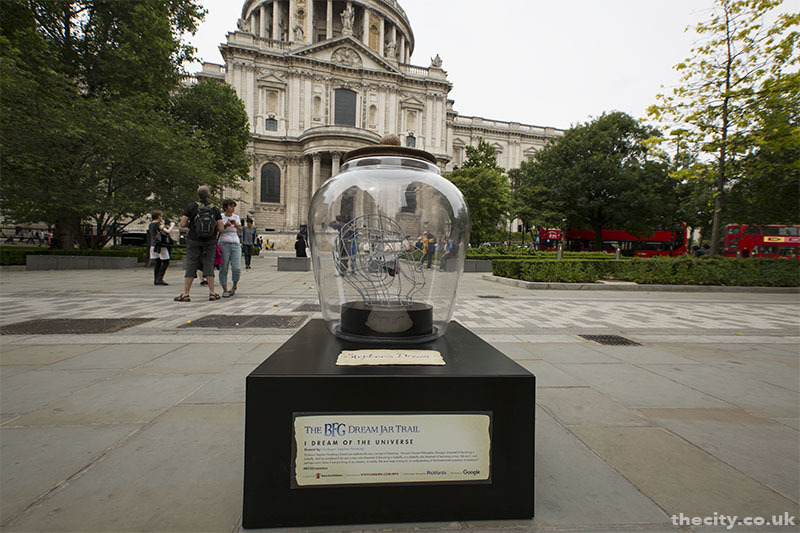 All of the locations of the jars across London, including at landmark sites like Trafalgar Square and Buckingham Palace can be seen on the Visit London website and there’s a specific City of London trail – as well as a river trail, West End trail and “Her Majesters” trail, too! The dream by athlete David Weir is outside the Royal Exchange by Bank Station. 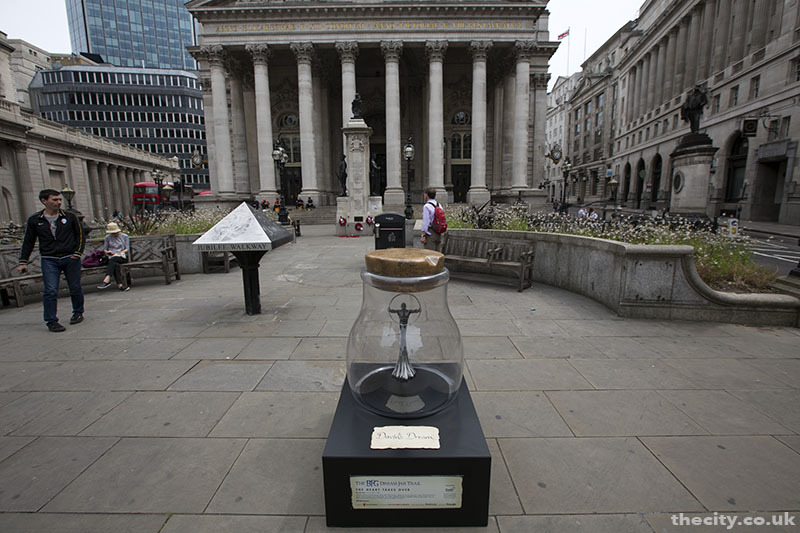 Jane Morgan’s Penny for your Thoughts next to Guildhall yard. The Totem Pole dream of Great British Bake Off winner Nadiya Hussain can be seen between Broadgate Circle and Liverpool Street. 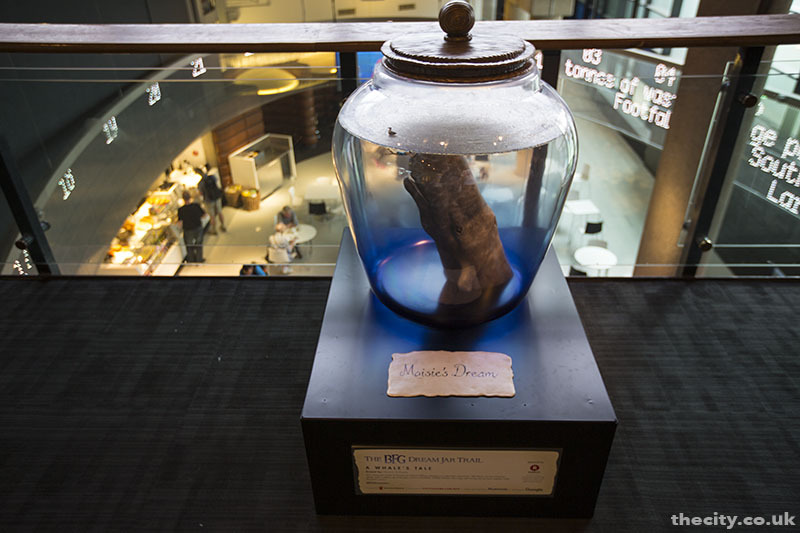 According to one of the security guards, the dream jar at Broadgate Circle has been moved, but not known where! Not a good start to the trail!